We most likely don't know all the Pools in Castille and León. Are you missing any? Contact us!. 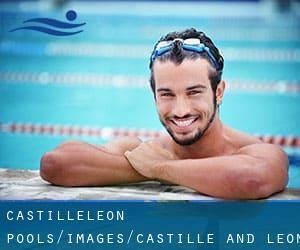 If you're searching for Castille and León Pools, it is fantastic to know a number of of them belong to gyms or sports centers which also deliver lessons. Get informed by calling the premises. For Castille and León and its vicinity, we're showing you all of the registered pools, a few of them have no GPS coordinates and can't be identified on the map at the map. Please make contact with the sports center in Castille and León to check which activities are being provided and their timetables, given that Castille and León Pools could possibly have different rules and fares than other locations. Going to a Castille and León Pool is increasing specifically within the elderly population sectors of Castille and León, who've suffered some kind of muscle or bone damage. Are you on holiday and wish to preserve fit and healthy? Swimia.com gives you the simple and quickest way to come across Aquagym in Castille and León near your present location. If you're tired of having eyes and irritated skin, finding a saltwater pool in Castille and León may be the remedy. It is best to understand that the degree of salt from these pools is effectively below the level of salt from sea water, specifically they're talking about a tenth or less. Enjoy the best indoor pools in Castille and León and don't worry about the weather. These facilities are open all seasons and you can enjoy a swim at the same temperature every day of the year. There are several factors why you need to choose a heated swimming pool in Castille and León. Essentially the most important one relies on the significance of keeping the body temperature stable. If the water is too cold, your body will try to warm it up and you will lose strength to swim correctly. One of the advantages of outdoor swimming in Castille and León will be the possibility to sunbathe in the course of the summer time season. Taking it with extra care, sunbathing is healthy because introduces Vitamin D into the body, so the very best alternative seems to be switching amongst indoor and outdoor pools based on the season. There are numerous alternative treatment options to chlorination, with great benefits that make sure much better water high quality in the pool. One possibility will be the mineralizer, which purifies water naturally and significantly decreases the chemical substances utilized and maintenance time. Try Chlorine Free pools in Castille and León. Holding an estimated population of 178.966, Burgos is among the most important cities in Castille and León. Check all of the Pool in Burgos and its surrounding region. Whereas León is among the six most populous cities in Castille and León with almost 134.305 residents, you shouldn't miss that one if you're going to Castille and León. Without a shadow of a doubt, swimming in Salamanca is the best way to unwind following perform. Take a couple of minutes to browse Swimia's catalog to find a Swimming Pool in Salamanca. Let us let you know a secret to switch off whilst you're in Palencia: just opt for a Swimming Pool in Palencia and plunge into the water! There's no even more useful technique. Swimming is a superb thought to keep your body active throughout your visit to Valladolid (Castille and León), or perhaps if you are a local. Swimia assists you to find your closest Swimming Pool in Valladolid. It's hard to visit Castille and León without having dropping by Ponferrada (with 68.736 residents). At present Swimia is showing you all of the Swimming Pool in Ponferrada and also the closest pools situated in its vicinity. Updated on 2019 C/ Abad de Santullán, 2 24008, León.. Swimmers like you reported 25 meters x 12.5 meters, Indoors. Phone number and e mail address are number for this Swimming Pool. Updated on 2019 Plaza Biólogo José Antonio Valverde, 3 , Barrio de Pajarillos , Valladolid , Spain (Postal Code: 47012). Swimmers like you reported 25 meters x 16.6 meters, 8 lanes, Indoors. Unfortunately we do not have the e-mail address of this Pool, but we can provide you with the phone number. Updated on 2019 Calle Gil de Villasinta s/n , Leon , Spain (Postal Code: 24005). Swimmers like you have reported 25 meters, 6 lanes, Indoors. Also, you will find 25 meters, 6 lanes, Indoor/Outdoor. Just in case you want to contact this Swimming Pool prior to dropping by, we only know the phone number. Updated on 2019 C. Almendrera s/n , Arroyo de la Encomienda (La Flecha) , Spain (Postal Code: 47195). Swimmers like you have reported 25 meters, 6 lanes, Indoors, Outdoors. Also, you will find 25 meters, 6 lanes. Just in case you need to contact this Pool just before dropping by, we only know the phone number. Updated on 2019 Pº de Zorrilla, esquina calle Daniel del Olmo , Valladolid , Spain (Postal Code: 47008). This sports center provides 25 meters, 8 lanes, Indoors. For this Swimming Pool, only phone number is number here. Updated on 2019 Avda. Salamanca, 229 , Salamanca , Spain (Postal Code: 37005). Among all the activities supplied by the center, if you are thinking about swimming you'll appreciate 25 meters, 9 lanes, Indoors. Just in case you want to contact this Swimming Pool prior to dropping by, we only know the phone number. Updated on 2019 Puerto Rico s/n 47014 Valladolid.. Swimmers like you reported 25 meters x 12.5 meters, 6 lanes, Indoors. Phone number and e-mail address are number for this Swimming Pool. Updated on 2019 Paseo de Juan Carlos I, nº 16 , Valladolid , Spain (Postal Code: 47013). Among all the activities offered by the center, if you're considering swimming you can expect to enjoy 25 meters x 12.5 meters, 6 lanes, Indoors. Just in case you would like to contact this Swimming Pool just before dropping by, we only know the phone number. Updated on 2019 Paseo del Ferrocarril, s/n , Salamanca , Spain (Postal Code: 37003). Swimmers like you reported 25 meters, 3 lanes, Indoors. Unfortunately we do not have the e-mail address of this Swimming Pool, but we can give you the phone number. Updated on 2019 Calle del Cardenal Torquemada, 53 , Valladolid , Spain (Postal Code: 47010). This sports center gives 25 meters, 8 lanes, Indoors. For this Swimming Pool, only phone number is number here. Updated on 2019 Calle Fuente el Sol, 62 , Valladolid , Spain (Postal Code: 47009). Among all the activities offered by the center, if you are thinking about swimming you are going to enjoy 25 meters x 16.7 meters, 1.2 meters minimum depth, 1.2 meters minimum depth, Indoors. Just in case you wish to get in touch with this Pool just before dropping by, we only know the phone number. Updated on 2019 Paseo de la Julia s/n 34004 Palencia. Among all the activities provided by the center, if you're thinking about swimming you will enjoy 25 meters x 12.5 meters, 6 lanes, Indoors. If you need to get in touch with this Swimming Pool, email address and phone number are both number. Updated on 2019 Avenida del Valle del Esgueva , Valladolid , Spain (Postal Code: 47011). Few days ago a regular user of this center told us they offer Olympic size x 21 meters, 8 lanes, Indoors. Furthermore, they keep in good conditions 25 meters x 16-2/3 meters, Indoors. For this Pool, only phone number is number here.